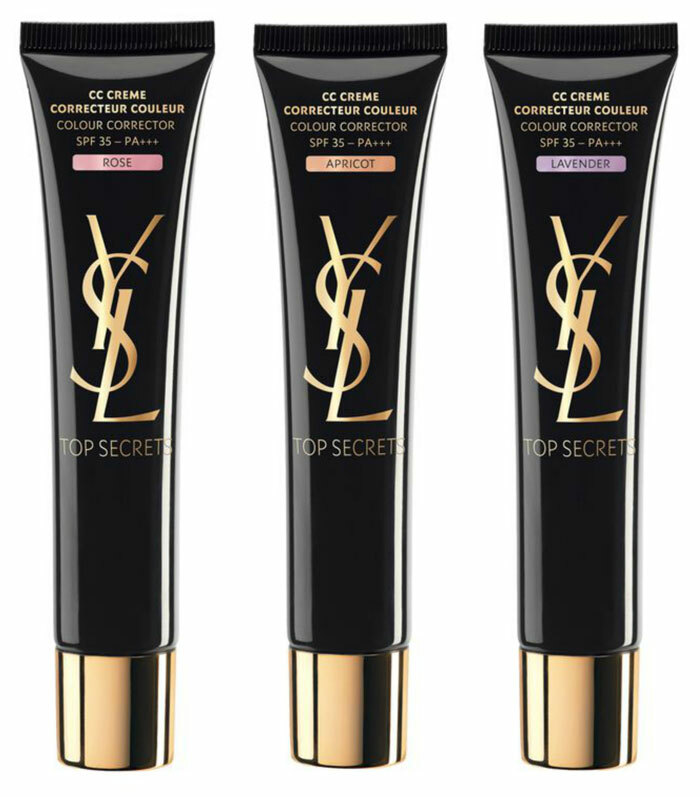 Yves Saint Laurent introduces the Top Secrets CC Cream, its brand new colour corrector designed to help even out the skin tone, conceal imperfections, and perfect skin for an ideal makeup base! The new CC cream, available in three different shades, is all-in-one moisturizer, primer, and SPF35 formula, specifically designed to target discoloration and treat uneven skin tone. 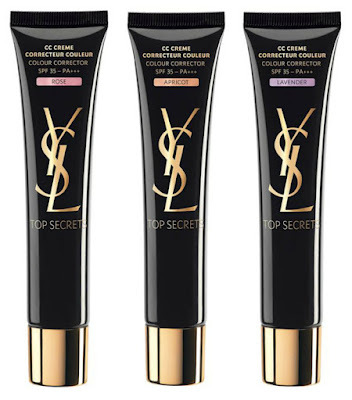 Each of the three shades targets one specific concern, from colour-correcting redness, to dullness, and dark spots. The lightweight and fresh formula ensures quick and easy application combined with a comfortable wear. 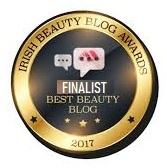 The cream no only colour corrects the complexion, but also minimizes the appearance of pores. 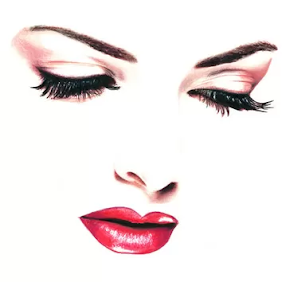 In addition to immediately visible results, Top Secrets CC Cream provides some significant long-term benefits, which will become noticeable after only 7 days of use. After one week, complexion tone looks more even and skin texture more refined, while after 1 month complexion looks more luminous. ROSE for pale, dull and tired-looking skin to reach a fresh and rosy glow. APRICOT for uneven skin tone and dark spots to reach a healthy golden glow. LAVENDER for yellow-looking skin and lack of luminosity to reach a natural and radiant glow.